1881 S Morgan Silver Dollar certified MS 63 by NGC and CAC! Entries into this Contest will be accepted from Sunday January 6, 2019 until 10AM on Sunday January 13, 2019. 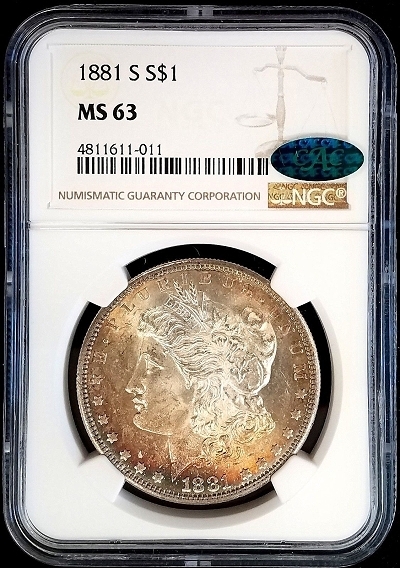 Prize: 1881 S Morgan Silver Dollar certified MS 63 by NGC and CAC!